Fræðasvið: Vörustjórnun og flutningsfræði, upplýsingakerfi fyrir vörustjórnun. Research interests: Transportation and Logistics Management including Logistics Information Systems. Ph.D. “Collaborative Logistics Management – The Role of Third-Party Service Providers and the Enabling Information Systems Architecture”, Dept. of Logistics and Transportation, School of Technology Management and Economics, Chalmers University of Technology, 2004. Licentiate of Engineering (Lic. Eng. ), Information Systems in Transportation and Logistics, Dept. of Logistics and Transportation, School of Technology Management and Economics, Chalmers University of Technology, 1999. M.Sc. in Mechanical and Industrial Engineering, Chalmers University of Technology, 1997. B.Sc. in Computer Science, University of Iceland, Faculty of Computer Science, 1993. Final Examination in Mechanical Engineering (C.S. – 4 years of studies), University of Iceland, Faculty of Engineering, 1988. 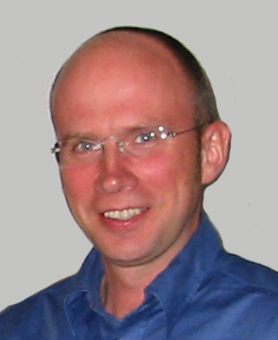 Associate Professor at University of Iceland, Faculty of Industrial engineering, Mechanical engineering and Computer Science, School of Engineering and Natural Sciences, 2006 - 2011. Guest professor, Shanghai Maritime University, Shanghai, China, 2005 ->. Associate Professor, Chalmers University of Technology, School of Technology Management and Economics, Dept. of Logistics and Transportation, www.mot.chalmers.se, 2010 ->. Assistant Professor, Chalmers University of Technology, School of Technology Management and Economics, Dept. of Logistics and Transportation, www.mot.chalmers.se, 2004 -2010. Ph.D. Candidate, Chalmers University of Technology, The School of Technology Management and Economics, Dept. of Logistics and Transportation (www.mot.chalmers.se), 1997-2002. Anna H. Olafsdottir, Helgi Thor Ingason, Gunnar Stefansson, 2016, Defining the variables for a dynamic model of quality management in the construction industry; Results from Stakeholder Group Model-Building sessions, International Journal of Productivity and Quality Management, Vol. 19, No. 2, pp. 187-208. Violeta Roso, Dawn Russell, Kusumal Ruamsook, Gunnar Stefansson, 2015, Seaport-inland port dyad dynamics: an investigation of service provisions and intermodal transportation linkages, World Review of Intermodal Transportation Research, Vol. 5, No. 3, pp. 263-280. Henrik Sternberg and Gunnar Stefansson, 2013, “Applying a lean approach to identify waste in motor carrier operations” International Journal of Productivity and Performance Management , Vol. 62, No. 1, pp. 47-65. Tomas Haflidason, Gudrun Olafsdottir, Sigurdur Bogason, Gunnar Stefansson, 2012, “Criteria for temperature alerts in cod supply chains,” International Journal of Physical Distribution & Logistics Management, Vol. 42, No. 4, pp. 355-371. Badi Almotairi, Jonas Flodén, Gunnar Stefansson, Johan Woxenius, 2011, “Information Flows Supporting Hinterland Transport: Applications in Sweden”, Research in transportation Economics, Vol. 33, No. 1, pp. 15-24. Mai Thi Tuyet Nga, Sveinn Margeirsson, Gunnar Stefansson and Sigurjon Arason, 2010, “Evaluation of a seafood firm traceability system based on process mapping information - More efficient use of recorded data”, International Journal of Food, Agriculture & Environment, Vol. 8, No. 2, pp. 51-59. Gunnar Stefansson and Kenth Lumsden, 2009, “Performance Issues of Smart Transportation Management”, International Journal of Productivity and Performance Management, Vol. 58, No 1, pp. 55-70. Gunnar Stefansson and Dawn Russell, 2008, “Supply Chain Interfaces: Defining Attributes and Attribute Values for Collaborative Logistics Management”, Journal of Business Logistics, Vol. 29, No. 1, pp. 421-442. Kenth Lumsden and Gunnar Stefansson, 2007, “Smart Freight to Enhance Control of Supply Chains”, Int. J. Logistics Systems and Management, Vol. 3, No. 3. Magnus Holmqvist and Gunnar Stefansson, 2006, “Mobile RFID, A Case from Volvo on Innovation in SCM”, Journal of Business Logistics, Vol. 27 No. 2 pp. 251-272. Gunnar Stefansson, 2006, “Collaborative Logistics Management”, Int J of Physical Distribution and Logistics Management, Vol. 36, No 2, pp. 76-92. Gunnar Stefansson, 2002, “Business-to-business data sharing“, A source for integration of supply chains”, International Journal of Production Economics, Vol. 75, pp. 135-146. Gunnar Stefansson and Bernhard Tilanus, 2001, "Tracking and tracing: Principles and practice". Published in International Journal of Services Technology and Management, Vol. 2 - Issue 3/4 – 2001. Nordic Case Reader in Logistics and Supply Chain Management, 2006, University press of southern Denmark, 231 p.
Alberto Capella ; Margherita Forcolin ; Ka Hamadache ; Jannicke Baalsrud Hauge ; Kostas Kalabouka ; Paola Lupieri ; Nils Meyer-Larsen ; Gunnar Stefansson; Violeta Roso, 2016, in Corinne Blanquart, Uwe Clausen, Bernard Jacob (ed.) Towards Innovative Freight and Logistics, Wiley-ISTE, 2016. ISBN: 978-178-630027-0. Gunnar Stefansson, 2012, “Increased Transport Efficiency”, in Sustainable Supply Chain Management - Practical Ideas for Moving Towards Best Practice, pp. 213-221, Springer-Verlag, ISBN 978-3-642-12022-0. Gunnar Stefansson, 2012, “Intelligent Freight Transportation System: The Effects on Transportation Operations Performance”, Supply Chain Innovation for Competing in Highly Dynamic Markets: Challenges and Solutions, pp. 171-198, IGI-Global. ISBN 978-1-609-60585-8. Stefan Jacobsson, Per-Olof Arnas. ; Gunnar Stefansson, Differentiated access management: The case of haulier operations in intermodal freight transportation, NOFOMA 2016 - in the proceedings of the 28th Annual Nordic Logistics Research Network Conference, pp. 161-176. Stefan Jacobsson, Per-Olof Arnas, Gunnar Stefansson, Information exchange in differentiated access management for intermodal freight transportation, in the proceedings of the World Congress of Transport Research (WCTR) 12-15 July 2016, Shanghai, China. Stefan Jacobsson, Per-Olof Arnas. ; Gunnar Stefansson, Potential Strategies for Improving Access Management in Intermodal Freight Transportation, in the proceedings of the Logistics Research Network (LRN), 7-9 September 2016, Hull, UK. Stefan Jacobsson, Per-Olof Arnas. ; Gunnar Stefansson, The potential benefits of access management for carrier operations in intermodal freight transportation in the proceedings of the Logistics Research Network (LRN), 9-11 September 2015, Derby, UK. Violeta Roso, Sara Gimeno Piquer, Nutcha Teraphongphom, Gunnar Stefansson, “Drivers and barriers to innovative logistics practices”, in the proceedings of LOGIC, 1st Logistics International Conference, Belgrade, Serbia, 28-30 November 2013. Anna Hulda Olafsdottir Gunnar Stefansson, Helgi Thr Ingason og Harald Svedrup, “System dynamic approach: quality management in the construction industry”, in the proceedings of the 2013 System Dynamics Society annual conference, Cambridge, Massachusetts, USA, July 21-25, 2013. Andreas Hagen and Gunnar Stefanson, “A framework for transport planning processes - A logistics service provider perspective”, in the proceedings of the 25th NOFOMA Conference, Gothenburg, Sweden, 2-3 June 2013. Andreas Hagen and Gunnar Stefanson, “Exploring support infrastructure for freight transport operations”, in the Selected proceedings of the 13th World Conference on Transport Research Society, Rio de Janeiro, Brasil, July 15-18, 2013. Violeta Roso, Dawn M. Russell, Kusumal Ruamsook, Gunnar Stefansson, “Connecting Inland Ports and Seaports Via Intermodal Transportation: A Process Evaluation”, in the general proceedings of the 13th World Conference on Transport Research Society, Rio de Janeiro, Brasil, July 15-18, 2013. Andreas Hagen and Gunnar Stefanson, Improving planning processes for increased resource utilization in road transport operations, in the proceedings of the 17th Logistics Research Network Conference (LRN), Cranfield School of Management, Cranfield University, UK, 5-7 September 2012. Henrik Sternberg, Gunnar Stefansson, Emma Westerberg, Rikard Larsson, “Exploring operational waste in haulier operations”, in the proceedings of the 16th Logistics Research Network Conference (LRN), Southampton, UK, 7-9 September 2011. Henrik Sternberg and Gunnar Stefansson, “Supply Chain Inefficiencies: Transportation - the Forgotten Factor”, in the proceedings of CSCMP European Research Summit, Barcelona, Spain, 8 June, 2011. Henrik Sternberg, Kenth Lumsden and Gunnar Stefansson, “Decreasing operational waste in motor carrier operations - The role of information and enablers”, in the proceedings of ITS Europe congress, Lyon, France, June 6-9, 2011. Badi Almotairi, and Gunnar Stefansson, “Managing supply chain interfaces: a framework towards an integrated logistics platform”, in proceedings of the 23nd NOFOMA conference, Harstad, Norway, 8-10 June 2010. Badi Almotairi, Jonas Flodén, Gunnar Stefansson, Johan Woxenius, “Information Flows Supporting Hinterland Transport: Applications in Sweden”, in proceedings of the Dryport Conference, Edinburgh, 21-22 October , 2010. Mai Thi Tuyet Nga, Björn Margeirsson and Gunnar Stefansson, “Temperature controlled transportation alternatives for fresh fish - air or sea?”, in proceedings of the 22nd NOFOMA conference, Kolding, Denmark, 10-11 June 2010. Gunnar Stefansson and Andreas Hagen, “The functionality of smart infrastructure and the effects on transport operation”, in proceedings of the 22nd NOFOMA Conference, Kolding, Denmark, 10-11 June, 2010. Badi Almontairi and Gunnar Stefansson, “Integrated Logistics Platform: an empirical analysis from the port industry“, in proceedings of the 22nd NOFOMA Conference, Kolding, Denmark, 10-11 June, 2010. Henrik Sternberg and Gunnar Stefansson, “Adapting the principles of lean, the seven wastes of motor carrier operation”, in proceedings of the 22nd NOFOMA Conference, Kolding, Denmark, 10-11 June, 2010. Gunnar Stefansson and Andreas Hagen, “The Potential Effects of Advanced Transportation Management on Transport Operations”, paper ID, 02956, Selected Proceedings of the 12th World Conference on Transport Research Society, Lisbon, Portugal, July 11-15, 2010, ISBN 978-989-96986-1-1. Gunnar Stefansson and Andreas Hagen, “The Effects of Smart Transportation Management on Transport Operations, Environment and Safety/Security”, in proceedings from the ITS World Congress, Stockholm, Sweden, 21-25 September, 2009. Vahid Mirzabeiki, Kenth Lumsden, Gunnar Stefansson, “Smart Transportation Management Systems to Support Visibility of the Supply Chain Information Types”, in proceedings from the ITS World Congress, Stockholm, 2009. Kenth Lumsden, Gunnar Stefansson, “Rationale behind airport selection for European low cost carriers”. In proceedings from the 13th Air Transport Research Society (ATRS) World Conference, Abu Dhabi, United Arab Emirates 27-30 June, 2009. Gunnar Stefansson, Kenth Lumsden, The essentials of smart Transportation Management, in proceedings of the 20th NOFOMA Conference, Helsinki, Finland, 6-7 June 2008. Kenth Lumsden, Gunnar Stefansson, Henrik Sternberg, “Smart freight to enhance efficient and sustainable distribution, in proceedings from ITS Europe Congress, Geneva, Swiss 2008. Kenth Lumsden, Gunnar Stefansson “Factors in forwarders selection of airline operators”, in proceedings of the In proceedings from 11th WCTR– World Conference on Transport Research, UC Berkeley, 24-28 June 2007. Gunnar Stefansson, Henrik Sternberg, ”Smart Logistics Systems – SLS, in proceedings of the 11th WCTR– World Conference on Transport Research”, UC Berkeley, 24-28 June 2007. Gunnar Stefansson, Johan Woxenius “The Concept of Smart Freight Transport Systems – the road haulier’s perspective”, in proceedings of the 19th NOFOMA Conference, Reykjavik, 7-8 June 2007 ‘. Henrik Sternberg, Gunnar Stefansson, “Freight Transport Operation Management”, in proceedings from the 5th International Workshop in Supply Chain Management and Information Systems, Melbourne, Australia, 9-12/12 2007. Nina Modig and Gunnar Stefansson, “Coordination in logistics systems”, Proceedings of the 11th Logistics Research Network Conference, University of Newcastle, Newcastle, UK, 6-8th September 2006. Pehr-Ola Persson, Gunnar Stefansson, “The state of a hype - A survey on Radio Frequency Identification”, Proceedings of the 18th NOFOMA Conference, Oslo, Norway, 6-7 June, 2006,. Gunnar Stefansson, “Process mapping in logistics using SCOR”. Proceeding of the 18th Annual Nofoma Conference, Oslo 7-8 June, 2006. Magnus Holmqvist and Gunnar Stefansson, "Smart goods" and Mobile RFID”, Proceedings of the 39th Hawaii International Conference on System Sciences, 39th Hawaii International Conference on System Sciences, Kauai, Hawaii, January 4-7, 2006, IEEE – Computer Society, pp. 141-151. Gunnar Stefansson, “The Role of Third-Party Service Providers in Collaborative Logistics management”, published in the proceedings from the 10th International Symposium on Logistics, ISL2005, in Lisbon, 3-5 July, 2005. Gunnar Stefansson, “Interfaces in Collaborative Logistics Management”, In proceedings from the NOFOMA 2005 conference, CBS, Copenhagen, Denmark, 2005. Gunnar Stefansson, “Collaborative Transport and Logistics management in a Logistics Service Providers perspective”, in proceedings from the WCTR conference in Istanbul, July 5-8, 2004. Gunnar Stefansson & Magnus Holmqvist, “Collaboration with Logistics Service Providers”, in proceedings from the RIRL2004 - International Congress of Logistics Research, 24-25 August, Fortaleza, Brazil, 2004. Holmqvist M., Hultkrantz O., Stefansson G., Wingqvist A., “E-Business and Spare-Part Distribution” in proceedings of the Logistics Research Network 2003 Annual Conference (LRN), September 11-12, London, England, 2003. Magnus Holmqvist, Ola Hultkrantz, Gunnar Stefansson, Anders Wingqvist, “The Logistical Consequences of E-Commerce - Theoretical Scenarios for Spare Part Distribution”, in proceedings from the WCTR conference in Seoul, July 23-27, 2001, Korea and published in The 9th WCTR Selected peer reviewed Proceedings, 2003, Elsevier, Oxford. Gunnar Stefansson, Antonio Musso, “The cost structure of the Road Haulage Industries in Europe, ”, in proceedings from the WCTR conference in Seoul, July 23-27, 2001, Korea. Gunnar Stefansson, "E-business; an innovation to integrate logistics chains", in the proceedings from the NOFOMA 2000 conference, Aarhus, Denmark, 2000. Gunnar Stefansson, Thomas Kanflo, Ola Hultkrantz, “Data sharing - the basis for integration of supply chain”, in proceedings from the 15th International Conference of Production Research, 9th - 12th August 1999, Limerick, Ireland. Main tutor, Mrs. Sigridur Sigurdardottir, Modelling Fisheries Management, University of Iceland, May, 2016. Main tutor, Mrs. Anna Hulda Olafsdottir, A system dynamic approach to quality management in the construction industry, University of Iceland, March, 2016. Main tutor, Mr. Vahid Mesabaki. “Collaborative Tracking and Tracing - Adoption of Technology and Information Sharing”, Chalmers University of Technology, December 2013. Main tutor, Mr. Badi Almotairi. “Integrated logistics platform - the context of port relational exchanges and systematic integration”, Chalmers University of Technology, 2012. Co-tutor, Mr. Henrik Sternberg. “Waste in road transport operations - using information sharing to increase efficiency”, December Chalmers University of Technology, 2011. Co-tutor, Mrs. Joanne Allis. “Assessing Safety Risks for the Sea Transport Link of a Multimodal Dangerous Goods Transport Chain” September Chalmers University of Technology, 2011. Co-tutor Mrs. Linda Styrhe. “Capacity utilisation in short sea shipping”, Chalmers University of Technology, 2010. In supervisory group, Mrs. Nga Mai, “Enhancing quality management of fresh fish supply chains through improved logistics and ensured traceability”, University of Iceland, 2010. Co-tutor, Mrs. Nina Modig. “Material Flows Incurred by Activities at Project Sites”, Chalmers University of Technology, 2008. Quality demand on suppliers of information systems for movement and handling of pharacuticals and fresh fish. 2014. Strategies for manufacturing planning – application of LEAN at Össur, 2013. Innovation and entrepreneurs: “the information window”, 2013. The operations of the Icelandic fish markets, an analysis and improvement proposals, 2012. Delivery Reliability, Analysis of make-to-order productions at Plastprent Ltd., 2012. LEAN, a quality analysis and value stream mapping at Össur. 2012. Evaluation of efficiency in land based fish farms, 2012. Development of inventory management system for the The State Alcohol and Tobacco Company of Iceland, 2011. Lean Thinking at the Icelandic Post Distribution Center, 2010. Lean Processes at Marel Corp., 2010. Rescue plans in Icelandic municipals, 2008. Utilization of Automatic Identification and Data Capture Systems at Tibro Kök AB, 2008. Innovative Services For Efficient Logistics Solutions - Interconnecting Telematics and Logistics Management Systems within Volvo AB, 2008. Uptime delivery - Future requirements for the vehicle aftermarket, 2008. KPI development issues in the Volvo Cars after-market, 2006. Analysis and evaluation of the transportation information system R:COM Scandlog , 2006. Improve Standard Systems with Service Oriented Architecture and Web Services, 2006. Development of web based support system with mobile interaction to wireless hand sets, 2006. Supply Chain Management, Analysis of management methods and financial outcome, 2006. Implementation of a new ERP – How did it turn out?, 2005. Designing vehicle storage and loading areas within a new Vehicle Logistics Centre, 2005. Applying automatic load sensor system at Renova, 2005. The use of fleet management system at Scandlog, 2005. Development of new KPIs for Volvo Car Corporation, 2005. Development of logistics software at WM data, 2005. New business activity monitoring software, 2005. The use of RFID in closed logistics setups, 2005. Volvo Car Corporation – Applying Report Data Warehouse, 2005. The use of SCOR in Schenker´s terminal operation, 2005. Digital Pen & Paper at Volvo Innovation, 2005. Information flows in logistics, 2004. Potential of mobile data communication in the transportation industry, 2004. Utilization of RFID in aftermarket services, 2004. Tracking of goods and incident management in distribution, 2004. System integration for a warehouse management system, 2004. Application of NPI/KPI at Schenker Logistics AB, 2004. Utilization of IT for the transport industry, 2004. RFID - Mobile Prototyp Project, 2004. Shape the basis for successful Business Activity Monitoring implementation, 2004. Systematic and automated System tests for telematic services in Chryslers Fleet Management System, 2003. Supply network dynamics, a case study at Schneider Electric, 2003. A model for Volvo Car Corporation to certify business systems, 2003. Booking of transport assignments at Schenker AB, 2003. Notification of delivery using GSM navigation, 2003. The Potential of RFID technology from a Logistics perspective and how it may benefit the SKF organization, 2003. Supplier demand in Electronic Data Interchange setups at Volvo Car Corporation, 2003. Logistics service and mobile data communication, 2003. Spare parts distribution and E-business, 2003. Automation of the ordering process at Alva Laval, 2002. Using SCOR in Logistics Services, 2002. Improving the order to delivery process at Volvo Bus de Mexico, 2002. Load Matching - B2B Solutions for the Commercial Transportation Industry, 2002. Bar code solutions in the transport industry, 2001. Analyses and solutions of logistical improvements at Eimskip, 2001. An Integrators Role in Producer Responsibility for End-of-Life Vehicles, 2001. The Desire for Connectivity: An Evolution of Technology, Market and Organizational Dynamics, 2000. University of Iceland Strategy Committee, New overall strategy for the university for the period 2011-2015, 2010. IT University Programme Committee, 2001-2006. Head of the Information Technology committee, The School of Technology Management and Economics, Chalmers University of Technology, 2000-2002. Head of the education quality development group, Department of Transportation and Logistics, Chalmers University of Technology, 2000-2001. University teaching (KEN212F), University of Iceland 2012. LOGINN, a project on Logistics innovations, 2013-2015. BestLog, a project defining a European Platform for Good Logistics Practice, 2006 – 2010. Cassandra, a project working on development of smart interfaces in logistics, 2005 - 2007. POET, a project on prediction of impacts of the e-Economy on transportation, 2004-2005. EUTRALOG: a project on R&D Roadmaps for European Transport Logistics in the Future, 2002-2004. NICT, a project on the impacts of new information and communication technologies, 2002. CLISME, a project on client service system for a SME intermodal operators, 2000-2001. SOFTICE”, a project dealing with freight transport costs and comparison in Europe, 2000-2001. LOGICAT: a concerted action on Logistics, Supply and Demand Chain Management in Europe, 1999-2001. SCANDINET, a project on promotion of integrated transportation in peripheral areas of the European union, 1998-2000.